David was incredibly adept at working with our ever changing needs and visions for our new company. We feel that his logo design really captures the essence of our brand. The website he created is easy to use, easy to update, attractive, clean, and professional. 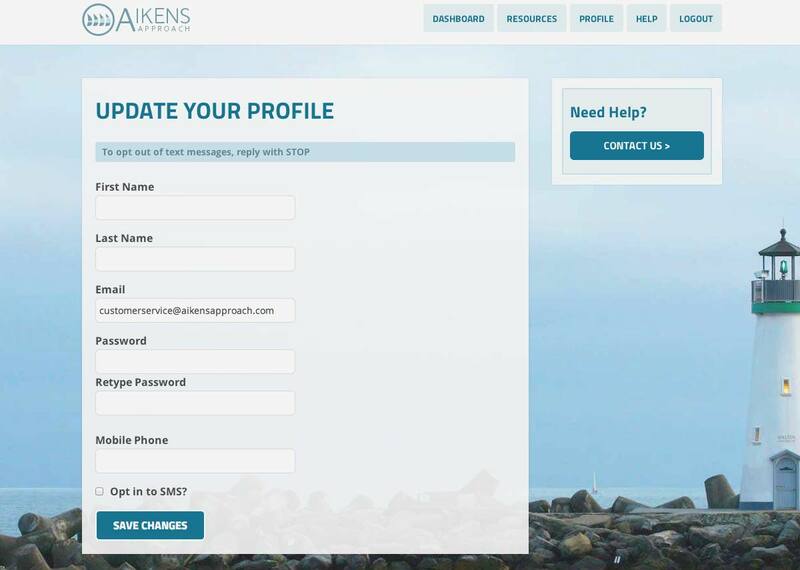 We needed custom functionality in order for our users to be able to download mp3s, access a supplemental library of information, and create user profiles. Davids capabilities made the creation process near painless. His patience, timeliness, and attention to detail made working with him a real pleasure. We will not hesitate to recommend David to anyone searching for website or logo design. 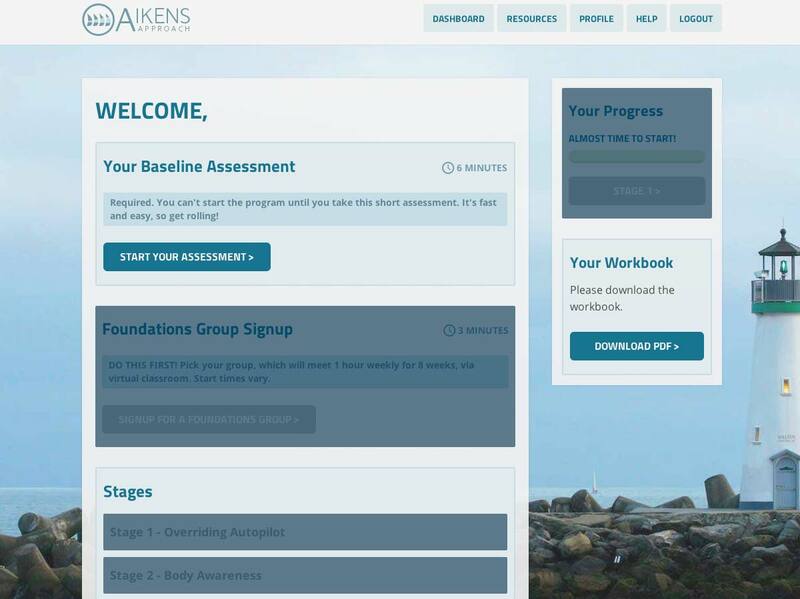 The Aikens Approach is a mindfulness-based corporate training and healthcare service founded on the principals of mindful awareness. Their programs address critical workplace problems that reduce employee productivity, such as low employee engagement and high occupational stress. 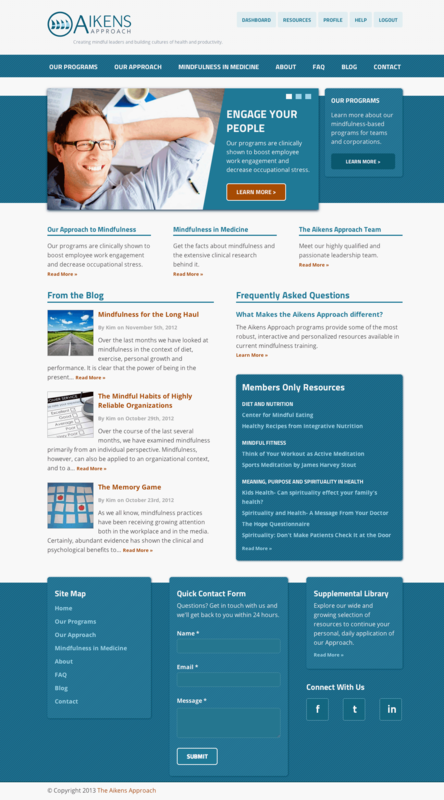 We created a membership-based online learning tool that allows participants to complete a mindfulness program through the website by using streaming mp3s, online surveys and real-time feedback to track their progress.